Biodegradability is a good thing as far as cleaning product ingredients are concerned, and most ingredients in cleaning products are rapidly biodegradable. But it’s not the be all and end all. It's more about ensuring living things in the environment don’t suffer harm than about improving sustainability over the life cycle. 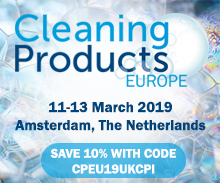 The key consideration for any cleaning product is that no harmful amounts enter the environment once the product has been used and goes down the drain. This means each ingredient must be sufficiently removed during sewage treatment by biodegradation or other processes. Scientific risk assessments are carried out to ensure this happens for each and every ingredient. 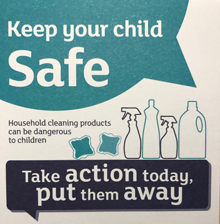 The Environmental Safety Check for products carrying the Charter for Sustainable Cleaning logo reconfirms this specifically for each ingredient in the formulation, even if the whole of Europe were to use the same product. All ingredients are routinely removed to levels at which there is no harmful effect, so improving biodegradability further can provide extra assurance through even better margins of safety. It can’t reduce the life cycle impact of the product.